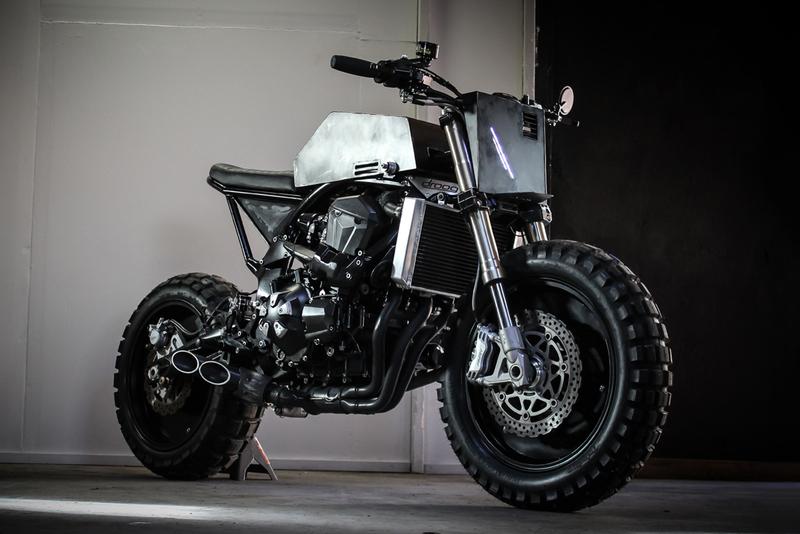 This post apocalyptic Kawasaki Z1000 by Droog Moto gives the bike building goal to all other bike modifiers. The Moto 14 Urban Fighter brings the bike designing to the other level. 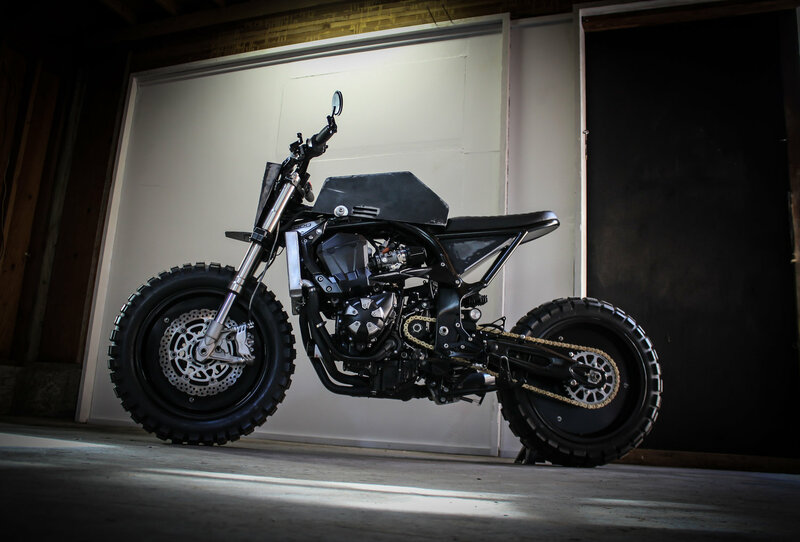 Droog Moto took the 2008 Kawasaki Z1000 model and stripped it entirely. After that they used the parts of the bike and the new suspension system, the rear frame was also changed and fitted with new seat. They have used a new fuel tank which covers the EFI Fuel pump. A new custom exhaust, converted handlebars, custom tracker plate and fender, aluminium rear sets are used. A Custom LED inserted in the head shines through machined slit looks amazing.